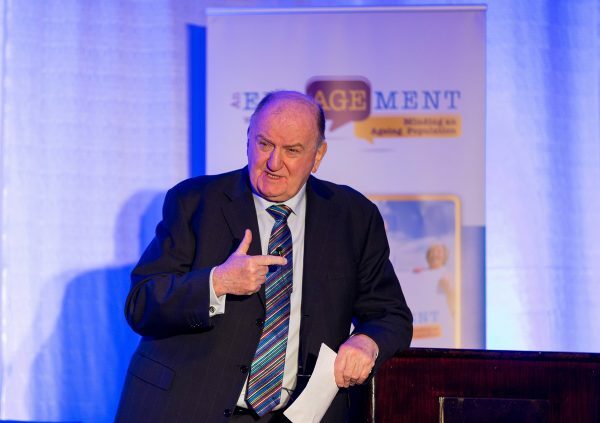 Newstalk Broadcaster George Hook was speaking at the launch of An EngAGEment with Bluebird Care which comes to Portloaise and Killarney later this month. The event will debate growing old in Ireland and the concerns of older people, their families, carers and the wider community. Organised by Bluebird Care the free two-hour seminar will be hosted in The Heritage Hotel Portlaoise on Thursday 22nd May and in The Malton Hotel Killarney on Wednesday 28th May. Both events start at 7.30pm. Speakers include An Garda Síochána, Age Action, Active Retirement Ireland, and RESPOND. George Hook at An EngAGEment with Bluebird Care which comes to Portlaoise and Killarney later this month. There will also be interaction with a live audience. Tickets to the event are free and anyone with an interest in the subject is invited to come along. Both events are free but prior booking is required. To book a place at the Portlaoise event: Email laois@bluebirdcare.ie or call 057 866 6377. To book a place at the Killarney event: Email kerrywestcork@bluebirdcare.ie to book your place or call 066 710 4015. You can also find out more at www.bluebirdcare.ie or on the Bluebird Care Facebook page.